“It’s a way to celebrate some of the good work TRiO programs are doing in the state for our students,” Peterson said. 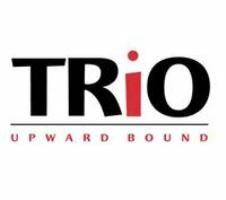 TRiO Student Support Services is a program designed to promote college success and improve graduation rates among its target groups: first-generation college students, low-income students and students with disabilities. Upward Bound serves high school students in preparing for college and gives them the opportunity to pursue higher education. The goal is to help increase the number of students completing secondary education and pursuing a bachelor’s degree. The students who were at the event said they were excited to be there and glad their voices could be heard by the Oklahoma state government. One OCCC student, Marilyn Chatman, a child development major, said TRiO has been a helping hand for her. It has helped her find financial aid, receive tutoring, and obtain computer access for her classes and assignments. “TRiO helps make our future come true,” Chatman said. It was her first time going to the event. She was interested to hear all of the speakers and be in the Capitol for TRiO Day. The morning event was filled with testimonials and inspirational stories from leaders who had participated in TRiO or Upward Bound programs in their younger years, and who have gone on to do important work for the state of Oklahoma and for education. President of Northeastern State University in Tahlequah, Steve Turner praised the goals of these programs. “Higher education changes everything,” he said. Oklahoma State Sen. Anastasia Pittman encouraged the young people to be politically active. Congressman Tom Cole is an enrolled member of the Chickasaw Nation who has served 12 years in the Oklahoma Congressional delegation in Washington, D.C., He also spoke of being a TRiO alum. OCCC’s Peterson said he too was in TRiO when attending the University of Oklahoma. He was part of the McNair program which is directed at juniors and seniors in college, encouraging them to continue their education toward a graduate degree. For more information or to apply to the TRiO program on campus, students should go to the TRiO office in the Main Building 1T7 and 1V7 (next to the Bursar’s office) or visit www.occc.edu/trio.